We will not be able to accept walk-ins today. Grow outside your comfort zone! This event features a woman business leader in our community, sharing her compelling story of how she rose to the top! Joyce Bone, CEO of Bone-Up On Business turns ideas into cash. She helps accelerate individual and cultural growth an inspirational speaker on mindset, motivation, and leadership for corporations, associations, nonprofits, and events. As a coach and consultant Joyce works with female business owners (and enlightened men) with revenues under a million desiring to accelerate profitability. Joyce knows about that having grown two businesses into multi-million dollar ventures each under two years. At age 28, as a stay at home mom, she took a $10,000 risk and co-founded EarthCare, an environmental company. It grew into a $125 million dollar NASDAQ traded powerhouse. As a nationally recognized expert in business, Joyce has appeared on CNBC's The Squawk Box, and in Money, Kiplinger magazines, been interviewed by the Wall Street Journal, SBA, National SCORE and dozens of others. She was hired to help pivot BLAMtastic from a boutique product offering into mass retail. Within two years the company's profitability sky rocketed starting with entry into world's largest retailer, Walmart and growing into other national known retailers from there. She can do this for you too! Her book, Millionaire Moms-The Art of Raising a Business and a Family at the Same Time was written to encourage and support entrepreneurial women. 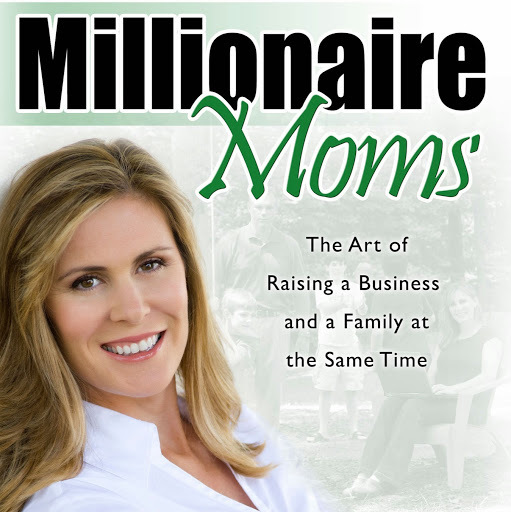 She shares best practices from the 100 millionaire moms she interviewed for the book. As a speaker she has spoken internationally at numerous entrepreneurial conferences. She has spoken at Universities such as Rice, San Diego State, KLM in Stockholm, Sweden, University of Nebraska, Kennesaw State and others. Fortune 500 corporations such as Coca Cola, Country Insurance, Women In Financial Services (WIFS) and others have hired Joyce to entertain and enlighten their audiences. Her messages are crafted to entertain as it empowers, inspire as she motivates each individual to dig deep and create real change actionable items to improve business performance, all in a light-hearted, entertaining way. The objective focused on how to create lasting change, and the desired results quickly and efficiently. Now you can see Joyce Bone and experience her inspiration and passion! Sponsorship opportunities available, contact Nancy at nancy@alpharettachamber.com for more information.